More Power. More Torque. Better Economy. Get more from your BMW or MINI, find out how today. With soaring fuel prices, getting more from your engine at lower rev ranges, with noticeable, differences to your power & torque with reduced fuel costs is desirable. What's not to love about that. Performance chip tuning is explained further here & performed 'in-house'. With Braided brake hoses, Powerflex bushes, grooved brake discs, uprated 'track day' brake pads, standard callipers painted, for no other reason than to look good, and a suspension coilover kit. Fancy some simple performance upgrades? 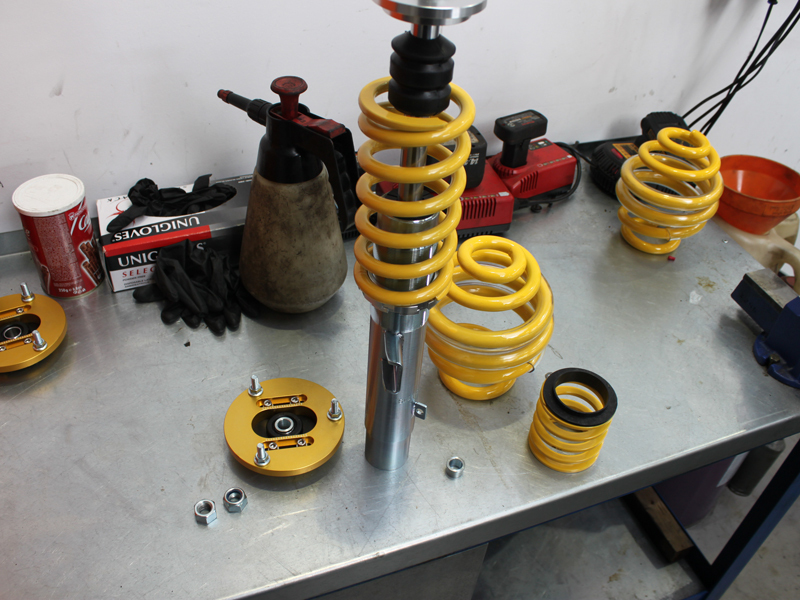 Suspension coilovers, lowering springs, performance brakes, Powerflex bushes, can all be done here. Give us a call to see what we can be done on your car, whatever your budget. Find our Retrofit & Modifications page for other cool stuff that can be done to get the most from your car. Take a look at our current E46 330ci Track Car build. It is a Low budget, high performance project, built to enjoy on the track. Similar upgrades for road cars don't need to cost the earth. Have some fun with your car on a budget. We have been trying out a range of products for both track days & road use.